Residencies | Berlin Glas e.V. There are some exciting residency opportunities at Berlin Glas! Please feel free to write to us to find out more and how to apply. 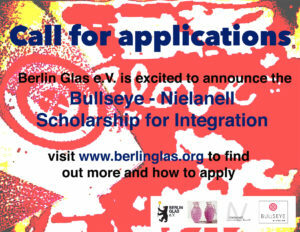 The Bullseye-Nielanell Scholarship for Integration is a chance for a Berlin-based artist with migration status to spend one-month as an artist in resident at Berlin Glas. The opportunity will include materials and an Artist Assistant. The residency will open the door for artists not working with glass to ask questions and experiment with the material. Click on the graphic for more information and how to apply! 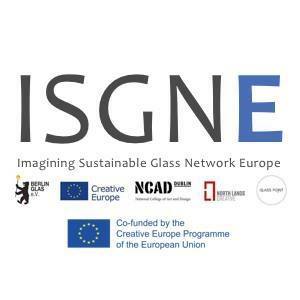 Imagining Sustainable Glass Network Europe (ISGNE) is a project funded by Creative Europe and led by North Lands Creative in partnership with Berlin Glas e.V. Germany, Ltd. Stikla Maja Latvia and National College of Art and Design Ireland. ISGNE will lead to the development of support for artists, designers, curators and cultural workers working in the field of glass across Europe through the provision of mobility visits, residencies, exhibitions, professional transnational classes and audience development initiatives such as artist-led community workshops, symposiums and an annual forum. 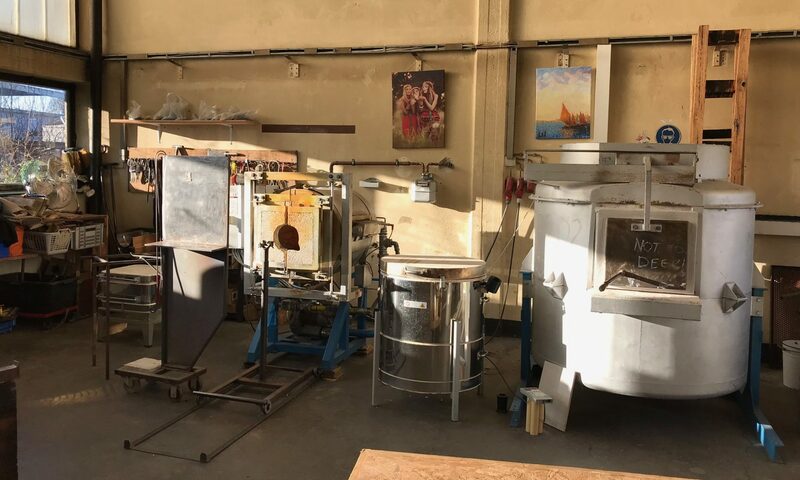 The ISGNE project will run over four years until May 2022 and will also look to make the medium of glass more accessible to a non-arts audience, bringing to the fore a wider public debate on the sustainability of contemporary glass by a programme of ambitious and unique experiences. Click on the links below for more information or to apply for an opportunity! and Saturdays when we teach classes. If you would like to visit the studio, please send us an email to make an appointment. Berlin Glas e.V. and Berlin Art Glas are in the same building.